Palembang, Indonesia – Continuing into the second year of its “Kota Terang Hemat Energi” city beautification and sustainability program, Royal Philips Electronics (NYSE: PHG, AEX: PHI) together with the city of Palembang will illuminate Palembang’s most iconic landmark, the Ampera Bridge (Jembatan Ampera), this evening using innovative LED-based lighting systems. 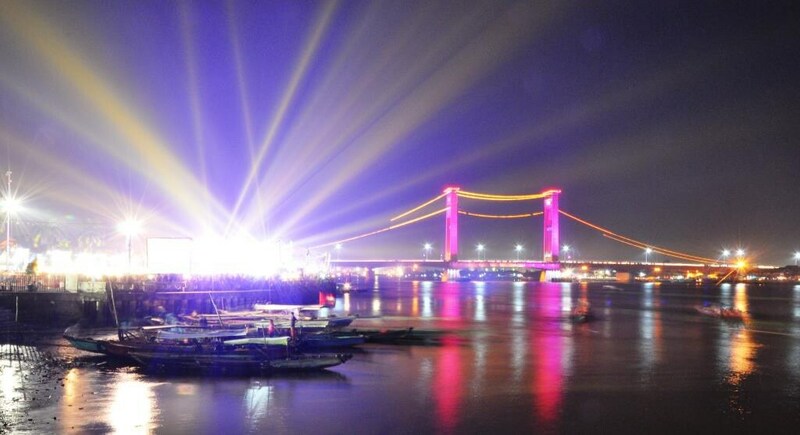 “As the city’s economic, cultural, and social center, the Jembatan Ampera is indeed an important symbol of Palembang, and we are very proud to continue our relationship with the city through our ‘Kota Terang Hemat Energi’ program. This is an initiative by Philips to improve a city and its people’s lives with innovative lighting solutions that make the city more livable and sustainable,” explained Ryan Tirta Yudhistira, Head of Marketing Lighting PT. 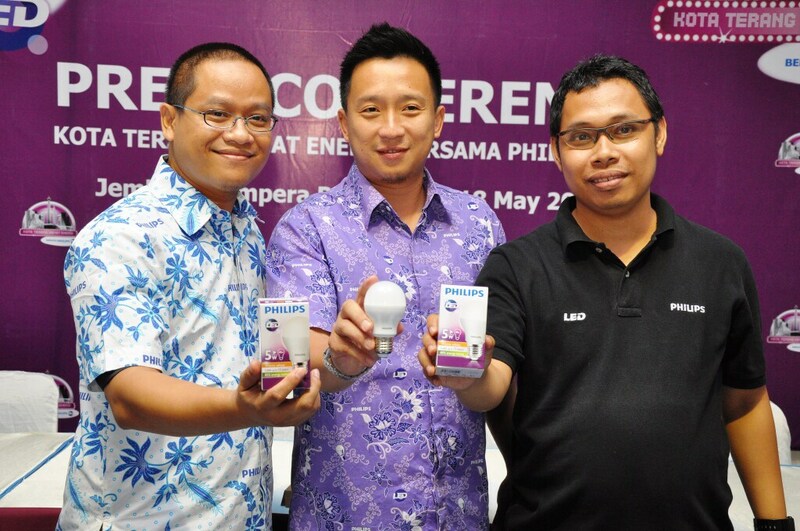 Philips Indonesia. Lighting plays a crucial role in making urban environments -- from residential to commercial, industrial, and infrastructure -- visually more interesting and therefore physically and psychologically more liveable. By partnering with government, commercial and industrial entities, Philips has illuminated many landmarks across the archipelago. Starting with the lighting up of the National Monument (Monas) in Jakarta in August 2012, the road show then traveled to Surabaya to light the Heroes Monument (Tugu Pahlawan) in April 2013, and this month to Palembang. Through its innovative lighting solutions, Philips aims to make a city more beautiful and its citizens more proud. Well-lighted public spaces encourage people to spend time socializing outdoors, boost tourism, and support the local economy. With lighting representing 19% of electricity consumption and causing some 1.9 billion tons of CO2 emissions per year globally, switching to LED lighting can save substantial amounts of energy. 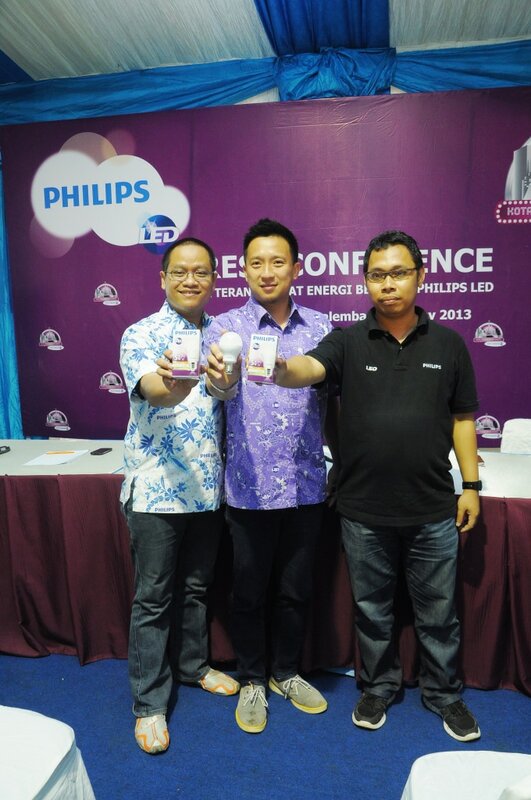 Ryan also stated, “Philips has installed Philips LED Coloreach Powercore lighting solutiion to light up the Ampera Bridge. By using this system, the illumination can be operated in all weather conditions, is fully programmable, and is able to produce a range of more than 18 million collors as part of a specially designed light show.” Philips LED Coloreach Powercore includes High Power LED Floodlights from Philips Color Kinetics that enable architects, lighting designers, building owners, and municipalities to create special lighting themes. Specifically in Palembang, Philips and the local government have also installed LED-based lighting at the Palembang City Fountain, the Mayor’s Office, three ancient mosques (Ki Muara Ogan, Algazali, and Lawang Kidul), the Kambang Iwak Park, and Sports City Jakabaring. The “Kota Terang Hemat Energi” program includes a series of activities during the week of 13-19 May in Palembang. Starting with Philips LED Mall Roadshow in Palembang Square and Palembang Trade Center, Philips LED Selling Day at the government education office, LED workshop at the Universitas Sriwijaya, a talk show on Philips’ new range of LED bulbs at Palembang Square, and a variety of programs at Benteng Kuto Besak area (LED exhibition, LED garden, “Touch of the LED Light Competition,” community bazaar, music performances), the special day will culminate in the night-time illumination of Jembatan Ampera. With state-of-the-art innovation in lighting, Philips LED bulbs provide many benefits for home use as well. Simply by switching to LED light, home consumers can benefit from bulbs with an up to 15-year life span, energy savings up to 85%, and ease of installation and adjustment in an environmental friendly technology that is cool and comfortable for the eyes. Please visit https://www.facebook.com/philipslightingindonesia to follow the latest updates on Philips lighting.